Thank you very much for your continued fantastic work! Any hints at what point you might put out a new release? wow, im so excited with the improvement. nice work guys, keep going! 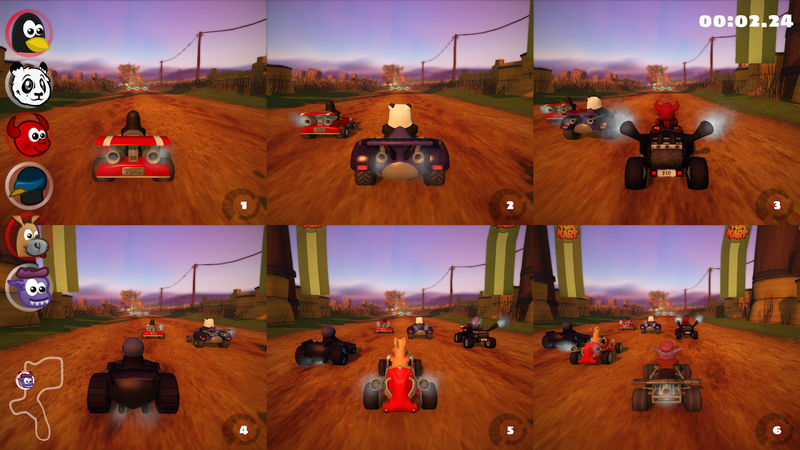 Cool that we are able to customize our Kart soon.. I'm really impressed by your work! Still waiting for network multiplayer to play with friends from another city! Nice job the versions are getting better !! Great work so far! It is nice to see how much excitement a new (future) release of SuperTuxKart is creating. 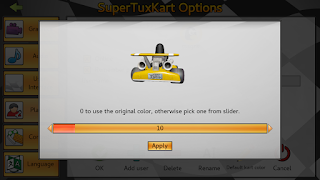 Just one suggestion for the color slider. Using a slider is cumbersome. A grid which shows all available colors would be much better from a UX standpoint. 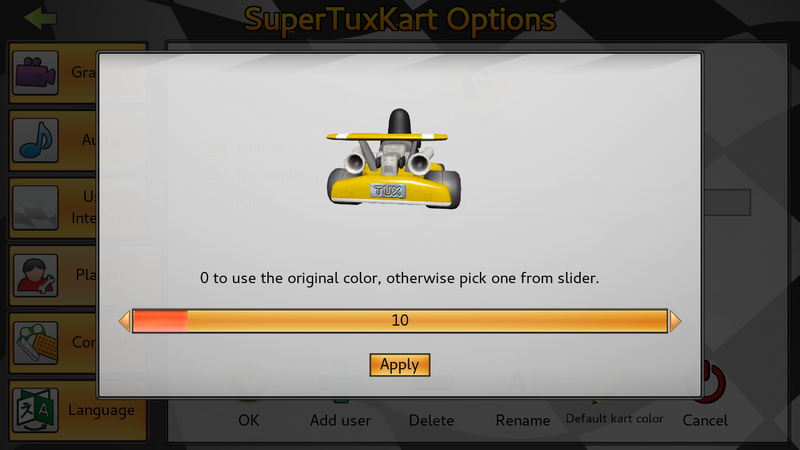 Makes choosing a specific color much easier and faster. One thing that was weird in past version, don't know if it's been fixed. If you run into a banana while holding a swatter, you lose it;if you activate a swatter right after hitting a banana, the bananas effect is negated. Are their git builds where we can test the new changes? No, you'll either have to compile it yourself or wait for a beta release.